MARIGOT–Chief Executive Officer (CEO) of mixed capital company SEMSAMAR Yawo Nyuiadzi disclosed recently the company will hire a Directeur Général Délégué to be named by the administration board on March 29, who will take up his post on April 2. He will be based in St. Martin. Apparently numerous candidates have applied for the position. His or her salary will be negotiated with the administration board and be commensurate with experience and salary scale. Nyuiadzi, who is also second Vice-President of the Collectivité, said the Director General’s principle mission will be to oversee repair work and rehabilitation of 46 social housing residences at a cost of 48.5 million euros, due to start before the summer. New projects are about to be realised in Martinique and Guadeloupe, he said. 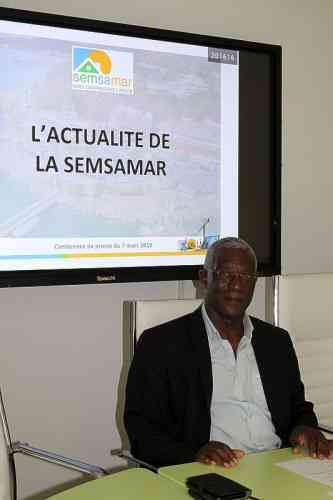 The SEMSAMAR branches in French Guiana, Martinique and Guadeloupe will also be complemented by a director to reinforce management in each of those territories. “SEMSAMAR is a formidable tool of expertise, engineering and technical know-how, and our aim is to have each of the territories where we are present reinforced,” said Nyuiadzi. Nyuiadzi was appointed to the position of CEO two months ago in a shake-up of the company management which also saw the controversial dismissal of former Director-General Marie-Paule Bélénus Romana.